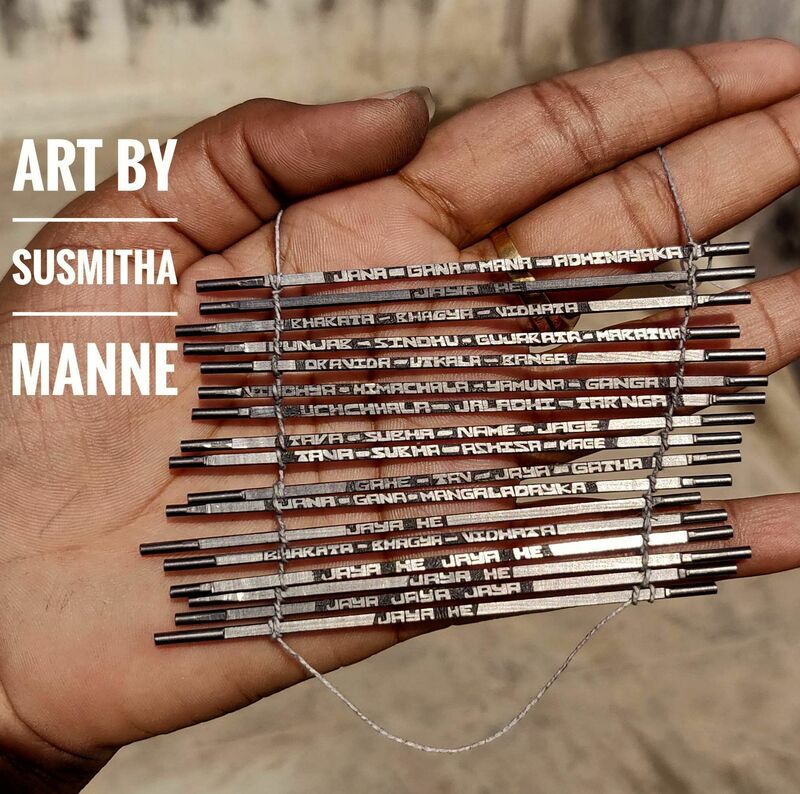 The devil might be in the details but certainly, the detailed carvings that Susmitha Manne creates on pencil lead must be a gift of the gods themselves. Yes, you read that right. 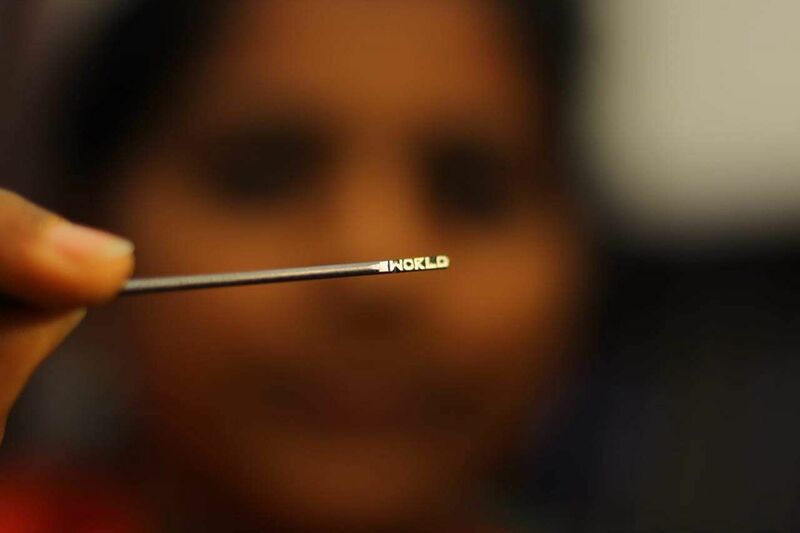 You might have seen videos of Instagram of pencil lead carvings as small as 0.5 mm and that's exactly what Sushmitha does. And what does she carve? You name it and she's done it. A chair, a key or even a name, speaking of which, when she carved the name of Telugu cinema's latest heartthrob Vijay Devarakonda, it went viral on social media. 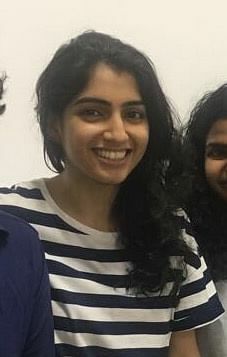 So viral that she was invited to meet Devarakonda at an event. 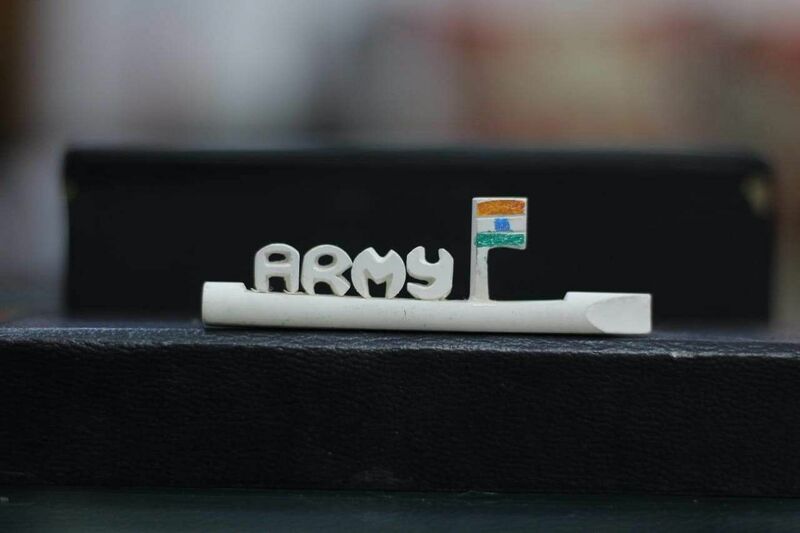 "He told me that it was the first time he'd seen this kind of art and wished me well," gushes Susmitha. But no one just picks up a pencil and starts carving, right? Susmitha takes us back to her days in Tiruvuru, a town in Andhra Pradesh where she was born. Always the backbencher, she started carving names in pieces of chalk and the first name she carved was that of her mother. *cue the awww! * "I come from a family of farmers and my parents have always been encouraging of my art," says the 23-year-old. When she came to Hyderabad to pursue BTech in Malla Reddy Engineering College, academics took the front seat, but the desire to do something unique persisted and soon, took over. 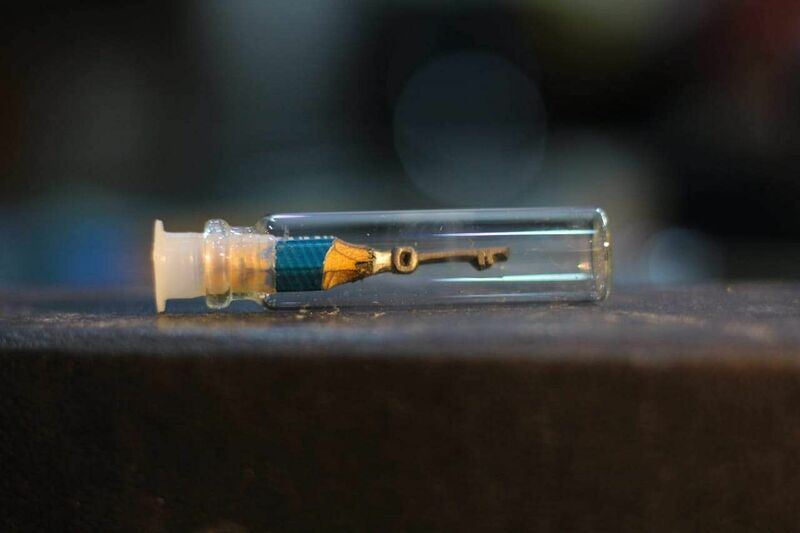 In her second year, she started carving on pencil lead. What would take up to seven hours to carve now takes her less than a minute, thanks to the hours and hours of practice she's put in to sharpen her skills. Currently, she works in a Hyderabad-based MNC, but continues to find time for her passion. 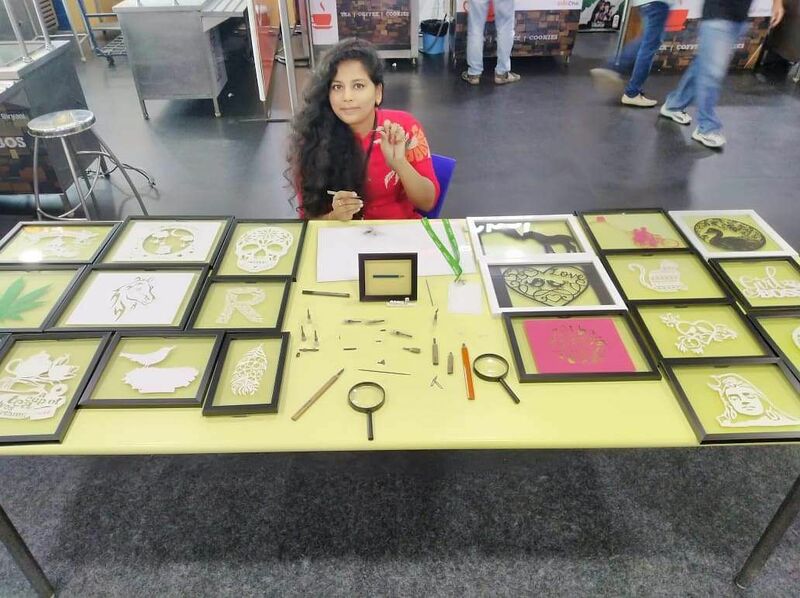 Not only this, she's also started a gifting business where she sells intricate paper cuttings, painting and pencil art. She even finds time to teach slum kids who are interested in this art form. We ask Susmitha what's the best thing that's happened to her so far and she tells us about the time she received the Pratibha Shiromani Award instituted by Score More Foundation that was handed to her by Director Kodi Ramakrishna, who happens to be her father's favourite. "I want to inspire others. If I, a girl who comes from a village and a family of farmers, can make it, so can you," says Susmitha.